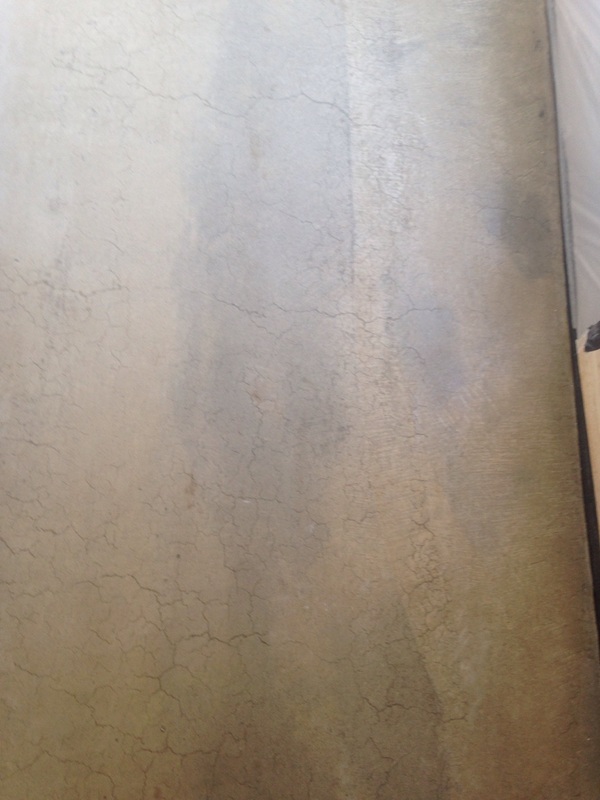 For a floor to be Burnished/Salt and Pepper and polished the floor must be mechanically steel troweled with a power trowel (helicopter) to within an inch of its life. These floors are 99.9 % up to the concreter to get right and we only take the credit of making these floors look good by making them shiny and hard wearing by the Mirafloor polishing process. People ask all the time for a Bunnings look floor as they think these are a cheap floor as Bunnings do them. These floors are one of the hardest floors to get right. It is an 80 page document to lay the concrete for Bunnings and takes two helicopters working in an inside weather controlled environment to get right, and the concreters have to get a gloss level of 25 on a gloss meter before the polishing system even starts. To even think a house slab will be as perfect as these is a big ask from any concreter even though there are a few who do get it perfect though even a good concreter can have a bad day. People ask me if I would have a Burnished/ Salt and Pepper floor in my house and I will always say no, there is too many inherent risks that can happen. 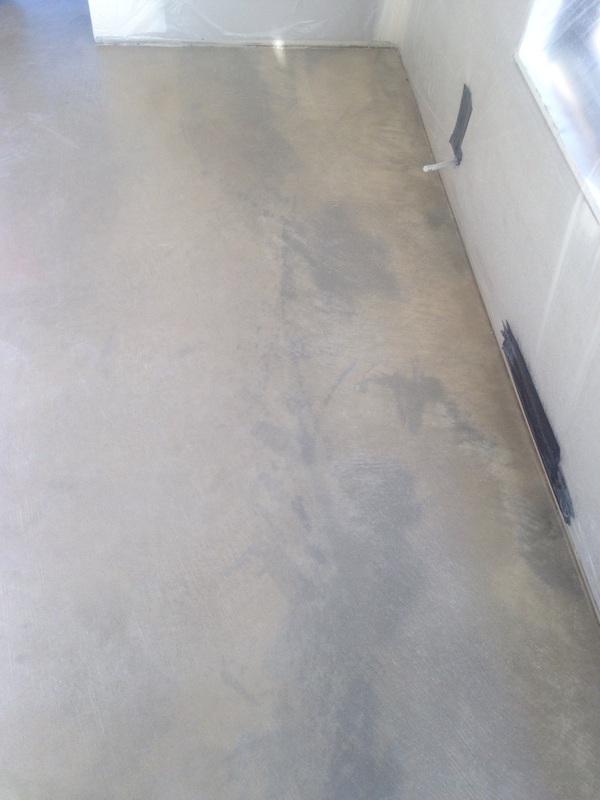 Screed marks and footprints must be removed during the helicopter process before the concrete sets, uneven troweling will result in an uneven floor. If the concreter leaves small dips or humps in the floor they will be very visible at the end, and due to the finishing process large colour variations and inconsistencies are not vary appealing in a finished floor including edges that have not been troweled enough and are light in colour. Don’t get me wrong there is still a chance that you will be the 1 out of the 20 people who we do Burnished floors for that will be happy. There are many hundreds of variables in concrete from colour to stains to tool marks that you will love though most don’t. The best chance of having a nice floor will be to have a salt and pepper to light exposure floor that will cut these variations out of the floor, this will not work all of the time but will give your floor the best chance of a great finish as the old saying goes that polished concrete is a perfect imperfect floor. After 15 years of polishing concrete the one thing that I have worked out is that the customer is always right and knows better than us about what can be achieved with Burnished/ Salt and Pepper floors, we strive to always give a good finish to our floors and we are only as good as our last floor and Geelong is a small town, Burnished/ Salt and Pepper floors do not always look good and this does not help any flooring company or any contractor who does polished concrete for a living so please take some advice and think twice or three times before you settle on a Burnished/Salt and Pepper concrete floor.